Doug Fieger, lead singer and songwriter of the successful and influential power pop band The Knack, died on Valentine's Day after a long battle with lung cancer. It's a very sad end to an amazing musical life. I knew he was sick during this time, but he still continued to give interviews. He gave a terrific one in January 2008 to Vintage Guitar magazine about his amazing collection of equipment, growing up loving rock and roll, and the impact of the classic single "My Sharona." There was no mention of his illness in the article. "You can have the same equipment, but unless you've got Jimmy Page's fingers, you ain't gonna sound like Jimmy Page," Fieger says. "Still, as a collector, I like having what a lot of the players that inspired me had." According to the obituary that appeared in his hometown Detroit News newspaper, Fieger told the paper just last month, "I don't know any better than anyone else when I'm going. I've had 10 great lives. And I expect to have some more. I don't feel cheated in any way, shape or form." 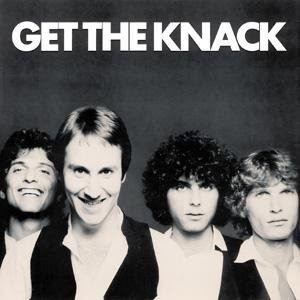 The Knack's premiere album, Get The Knack, sold 6 million copies and brought back a love for 60's-era British invasion guitar rock and roll to the world. Although their aping of the Beatles caused a huge backlash and ridiculous expectations for the band's second album, they kept plugging away making great music and giving no quarter. If you have any doubts of the staying power of "My Sharona," then you can remember the funny scene from the 1994 film "Reality Bites" (shown below) or that the song is featured in an edition of the video game Guitar Hero. Their third album, Round Trip, produced by Jack Douglas (Aerosmith, John Lennon), gave them a bigger, in-your-face sound, and featured one of my favorites of theirs, a tour de force called "Africa." Leaving Capitol for Charisma for the one off Serious Fun, old Detroit buddy Don Was roughed up the band's sound, gave the guitars more edge, but the songs were still there, like "Rocket o' Love" and the title cut. The band continued releasing records periodically with mixed results, such as Zoom and Normal As The Next Guy. What Fieger should be remembered for is finding a grand musical vision and sticking with it. Clearly, he was mesmerized by the melodic rock songwriting of the 60's, grew up learning how to play and collecting these instruments that mean so much to him. Even when the critics turned on The Knack and eventually the public went along, he still believed in the three-minute rock song with hooks and harmonies, lots of guitars, and the angst of a teenager. I own a wonderful DVD the Knack did in 2002 called Live From The Rock 'n' Roll Fun House, where three quarters of the original band do a fantastic staged run through of many of their great songs. Below is a video memorial for Doug Fieger and The Knack, starting with a local cable interview he did in Rhode Island. You'll notice that a number of these performances were from the past few years, when Fieger was battling cancer, but that did not stop him. Rest in piece, Mr. Fieger.